The hubbinator’s family lives in Chicagoland so a trip up there isn’t new. Periodically, we coordinate things so I can visit the city alone, in a mini vacation sort of way. That’s exactly what I went for this past weekend. Some of you might have seen my IG and Twitter feeds aflutter with Chicago this and Chicago that. I didn’t tweet food, so… you’re welcome. I met up with a long time costumer friend as well as Mari Miller from Disparate Disciplines and we went to Vogue Fabrics in Evanston, just north of the city. Here’s what I saw. I didn’t buy it all but it got me thinking about a bunch of projects out of my normal fabric repertoire. I should’ve bought wool jersey, even if I stash it for next winter but I just couldn’t. I really want to sew for Spring and Summer now. I had to play with this mesh a bit as a reminder that I’m making a friend a costume that will need this stuff so she can still wear a bra. What could this fabric be? See, at Vogue a lot of the rolls only say “Assorted Fibers” or something like that. The 100% of anything are clearly marked but the mixed stuff isn’t always. You basically have to touch everything. Poor me. I tried to fall in love with some of these prints. I swear I did try. I’m a solids girl. 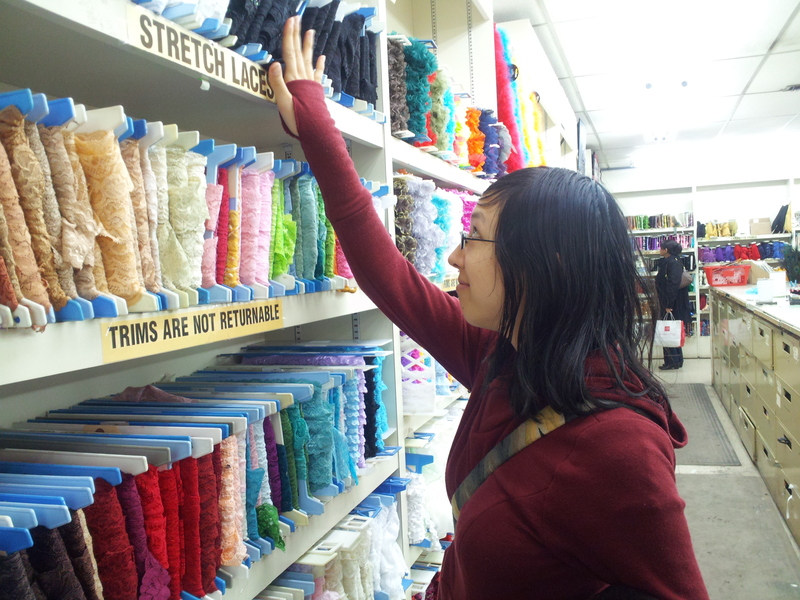 Mari fondling the stretch laces. So many here and on another wall there were a ton of FOE and lingerie elastic. So pretty. Didn’t get any. Gorgeous ribbon I have no current use for. I wish I had grabbed even a yard of these ruffle knits. Maybe next time. So, what did I get? To stay focused and use my funds wisely, I always carry with me a list. I have a notes app on my phone where I list the things I really want and am searching for. I believe these are rayons. Anyway, I got this pink knit for my girl and the blue is for me and one of my upcoming costumes. 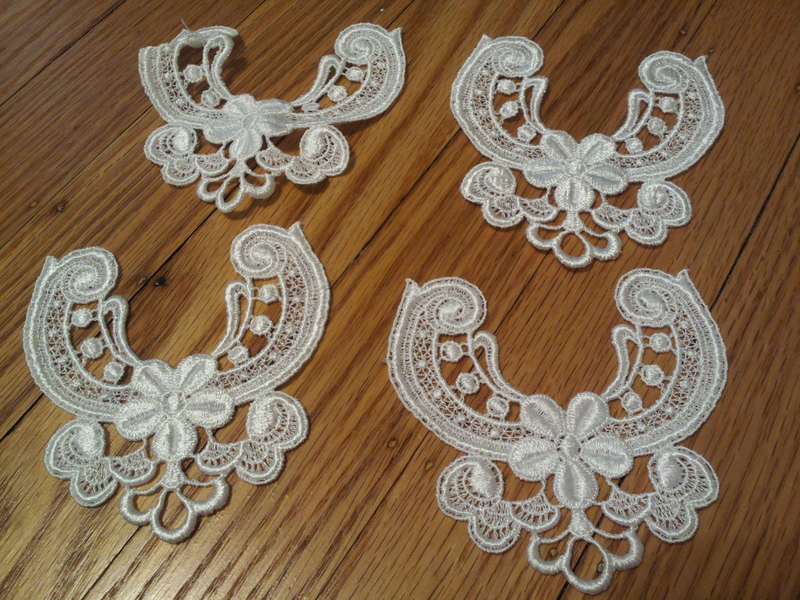 These are gonna be for my Titanic evening gown. Ok. 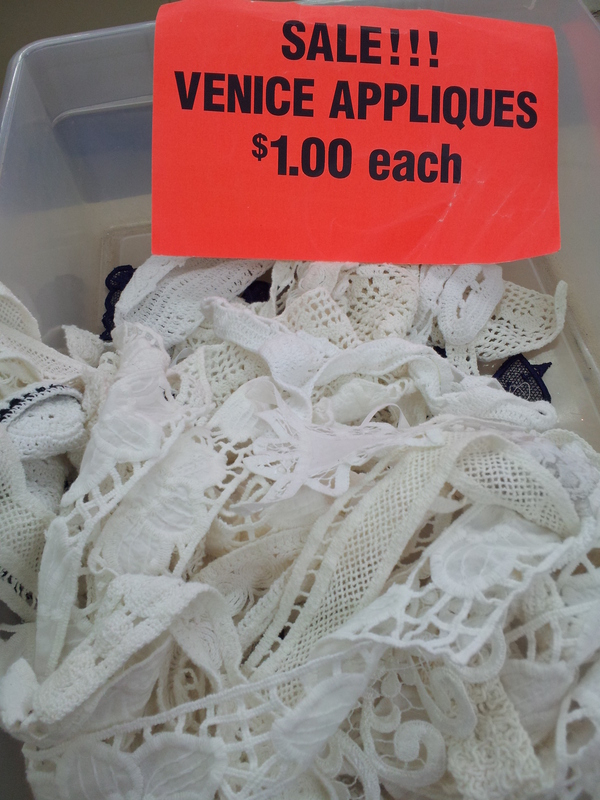 So, cool ruffle knits I don’t grab, but this I can’t leave without? I know what kind of person I am. A dreamer. So, that was part of my trip to Chicago. I have a couple of fun things I’m gonna do here on the blog. I hope you like them all. 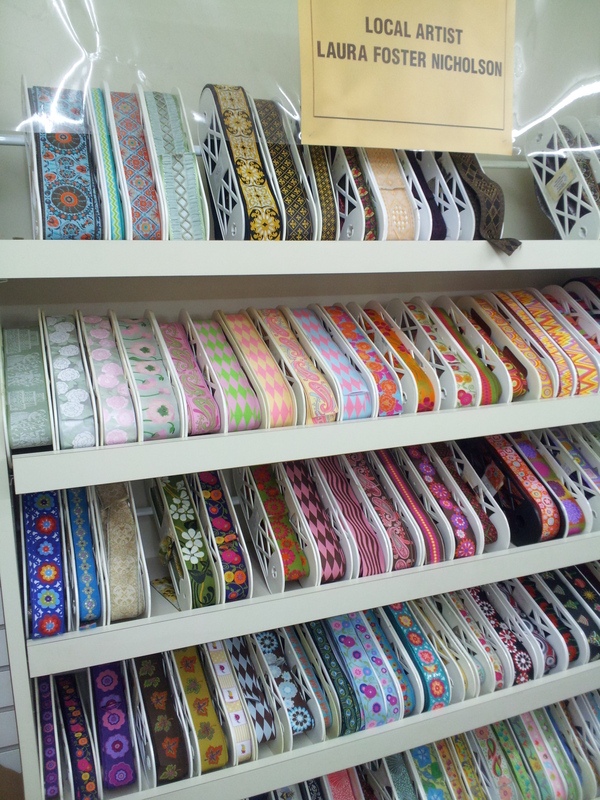 I do wonder, how do you keep yourself from buying the whole store when you go fabric shopping? Do you buy fabric first, then pattern? Chicken and egg kind of stuff. 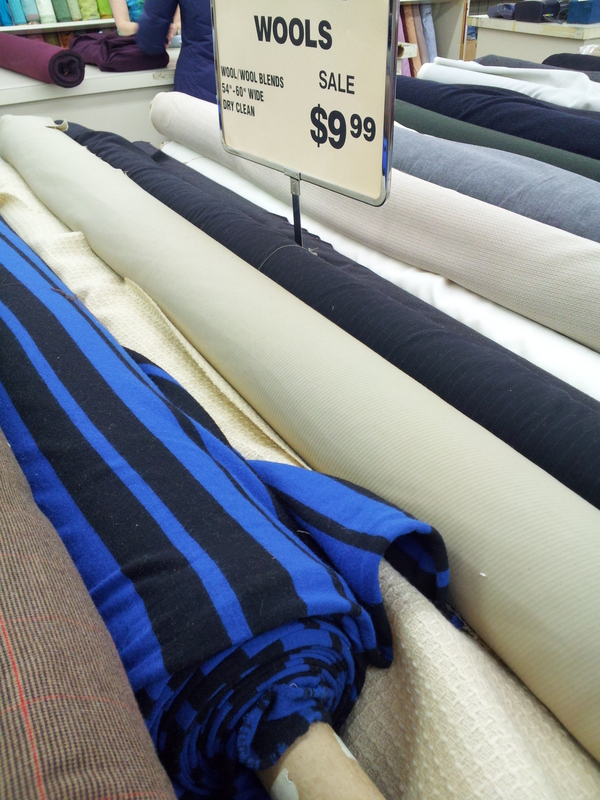 I’m always curious how other people buy fabric. I always go for something I’ve been meaning to buy and I use my list and work my way through it, always adding to it, of course. 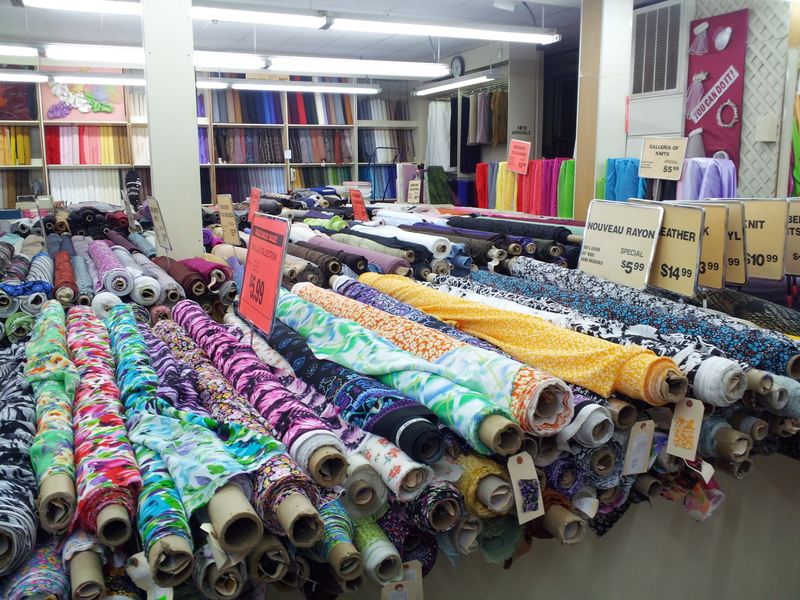 How do you shop for fabric? Loving the lace you picked – can’t wait to see your costume! As for my shopping I have lists of specific fabrics needed for upcoming projects as well, but I often search about online first a bit to get an idea of pricing and styles. It helps me focus at the fabric shop a bit easier, but I always check sales first and keep some stock fabric in my stash. Seems like you had a real fantastic time! I did have a great time. This was just a part of it. That’s part of the surprise. 😀 Can you tell I can’t keep a secret. I am a terrible fabric shopper- If I am making something specific I get the pattern first then go find the fabric. But I always seem to get sucked in by sales and pretty fabric. So I get the FABRIC first, GUESS at the yardage by thinking about what I would make… and basically it is a vicious circle. But I just can’t help myself! I know. There are so many lush fabrics out there. When I can, I treat myself. The only problem for me in not knowing what I’m going to make with some fabric is that then I end up not getting enough. yknow? YES! Happens all the time- and then I find a pattern and “SHOOT” I don’t have QUITE enough… never ending circle! 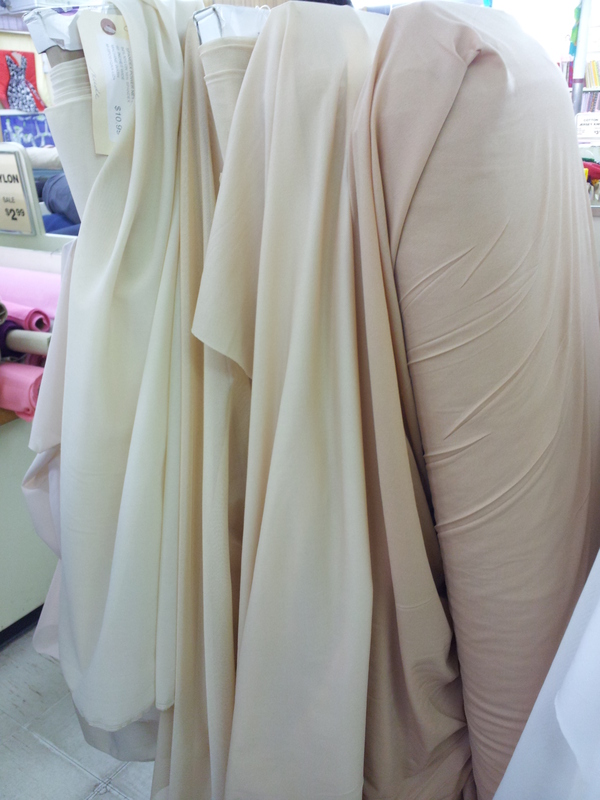 I love fabric shopping. No. 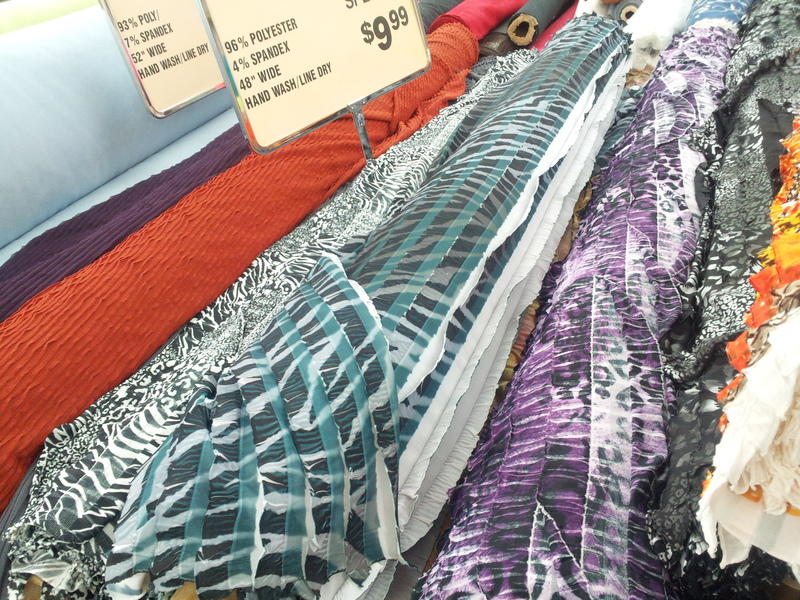 Actually, I hate fabric shopping because it’s a drowning-in-gorgeousness experience that leaves my wallet hurting. So, generally speaking, i don’t go fabric shopping. I’m totally with you on leaving the ruffle knits and going for the dreamy stuff – that’s exactly what I do! Rationale: I cannot afford RTW made with the dreamy stuff (or find it anywhere), but the ruffle knits are very RTW and easily accessible. I want so spend my $$$ on the dreamy stuff that I can’t find anywhere and make lots and lots of frosting (even if I rarely wear it). So I keep a list of what I really need and only go shopping for it when I really need it. Learning to say “no” is hard. Yes! I definitely felt drowned in gorgouseness over the weekend and I only went in for 2 hours. I think I needed a snack break and then I could’ve gone longer. ahaha. Ah, so you’re with me on the dreamy stuff. Yeah, I can usually find pants and tights and those aren’t hard in my size, but anything dressy…that’s the stuff I want to make. Frosting for everyone! I used to go crazy and feel the need to buy everything, but now I’m a little more level headed. I try to think about what I need and will actually use, before buying fabric. Making lists helps (although I used to hate lists, now I seem to rely on them for everything). Also, the lack of funds really helps me to refrain from buying everything!!! Why doesn’t money grow on trees? 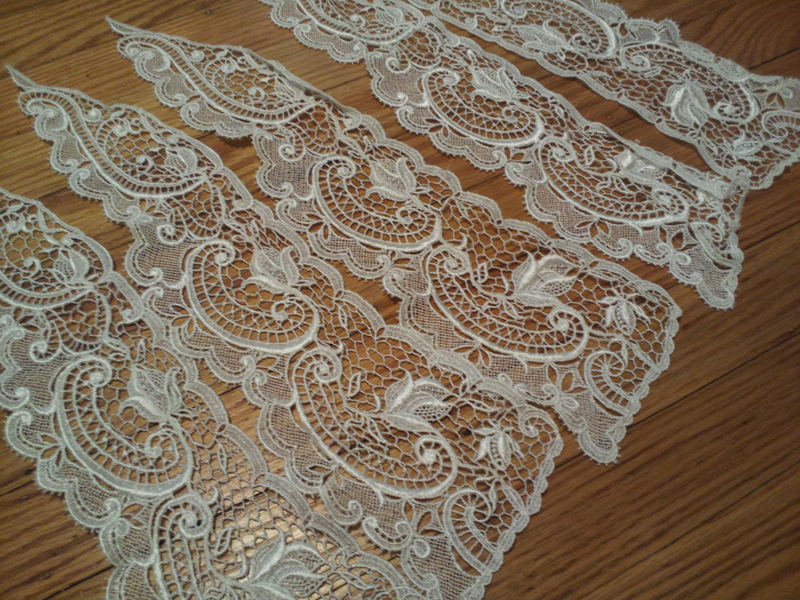 Pretty pretty lace! Can’t wait to see how you use it for your costume! It really depends on my project whether I have the pattern or the fabric first. I usually do okay when I shop for a specific project because I can be so focused on looking for something exact that I barely notice anything else. 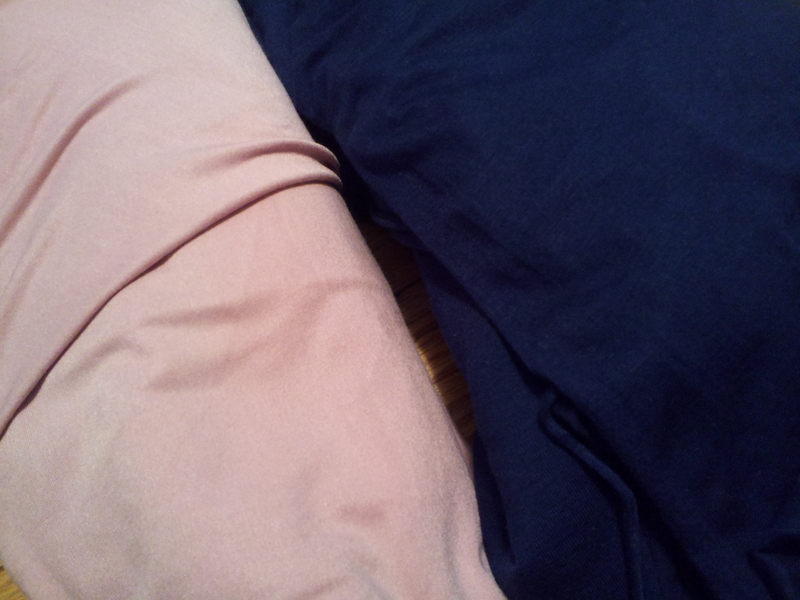 I do have a short list of a few colors of fabric I’ve been looking for for years. I’ll get lucky eventually or my view of a project will morph into something else and I won’t need to keep looking for it. I had a RTW ruffle skirt in teal a few months before I started seeing that fabric in the stores, so I haven’t been tempted to get any but it IS fun! I’ll totally change a project idea if I find something different or don’t find what I’m looking for. Mmm, lace.I have nothing profound to add, I just wanted to add that when I saw Vogue Fabrics at the expo last year I spent 20 minutes digging through the button box. It was SCOOPS FOR CHEAP. Thank you for posting this. Nothing cheers me up more than second-hand stashing and fabric+notions pr0n, LOL! 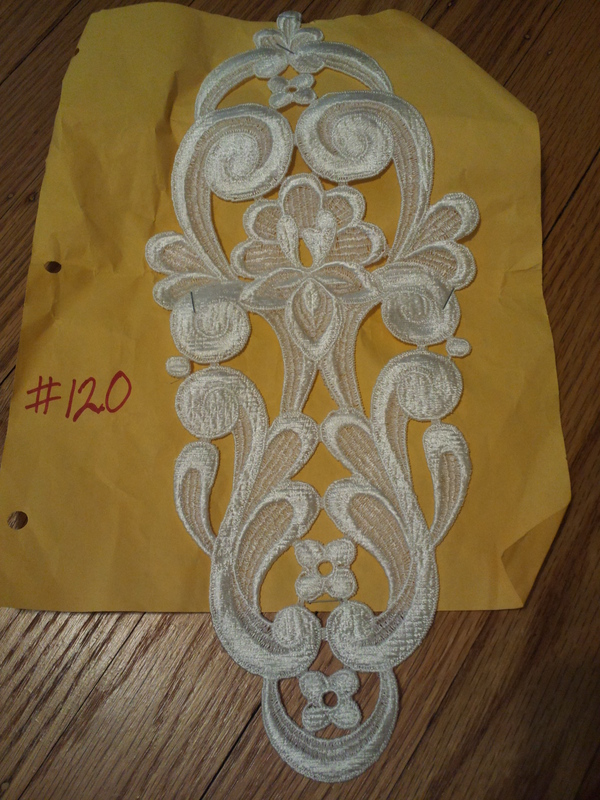 And I recognized a fabric I actually own: that white daisy on orange in the challis rolls, 3rd after the sign *jumps up and down, clapping* The laces are gorgeous, make me wish I were an embellishment sort of girl. Le sigh. You found one you own? That’s awesome. I also want to get some of the double sided (or colored) sweatshirt fabric. That stuff was cool. Oh, yes. It was fun hanging with you. I put myself on fabric ‘time-out’. I have to burn down what I have. Of course I got some awesome Victorian patterns for Xmas so I just got a wool blend for an equestrian outfit… And bought some wool on sale for $2 per yard. Yeah, I have a problem. I only buy sales when the price is spectacular AND I have an idea what I can use it for. Otherwise I buy after I get the pattern. That doesn’t stop from having a couple of years of projects backed up. Maybe. So I’m squarely in the dreamer camp. I’d love to see your equestrian outfit. Sounds like an awesome project. Oh, dreamer friend, you are not alone.